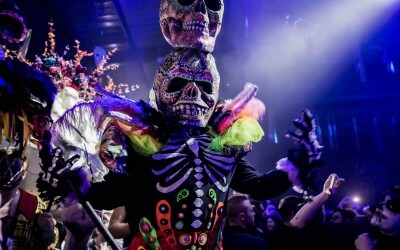 Manchester is officially getting spooked for the return of Festival Of The Dead this Halloween. 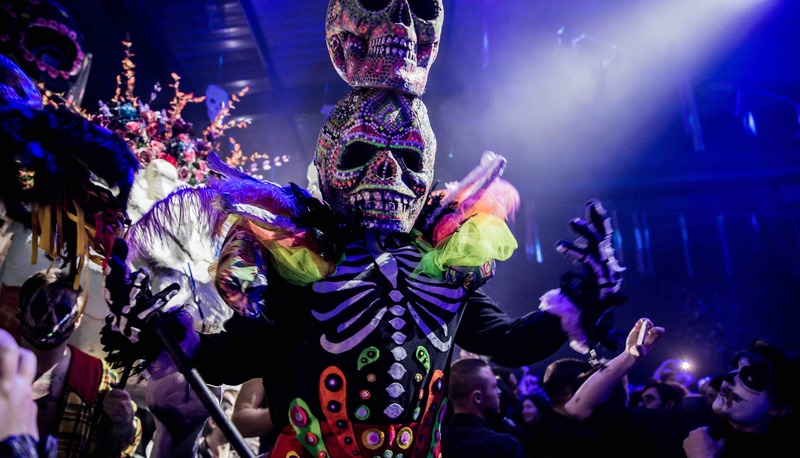 Sliding Doors secured an online, front page feature for the deathly fiesta in the What’s On guide of the city’s leading newspaper, the Manchester Evening News. After a sell-out out show in January 2017, Festival Of The Dead will return to Bowlers on October 27th with a new-look show – Chapter 2: ‘Limbo’. Expect production values to go up a dozen notches and the introduction of a whole new range of colourful characters as guests party on a trip to purgatory. 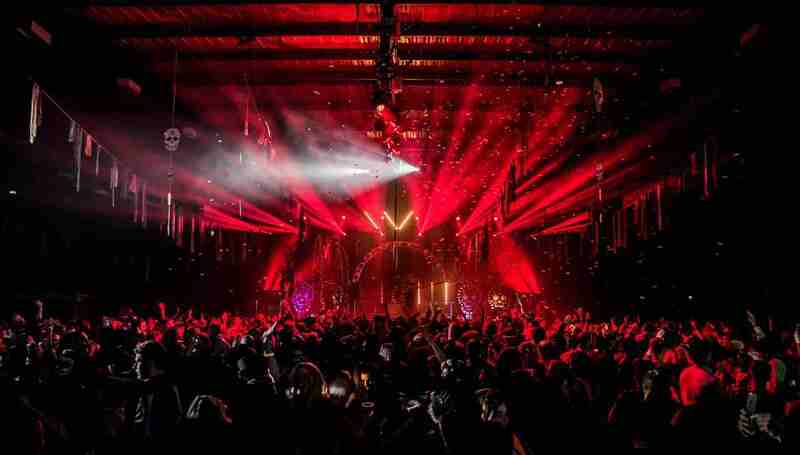 If you’ve never been, these parties are unique. 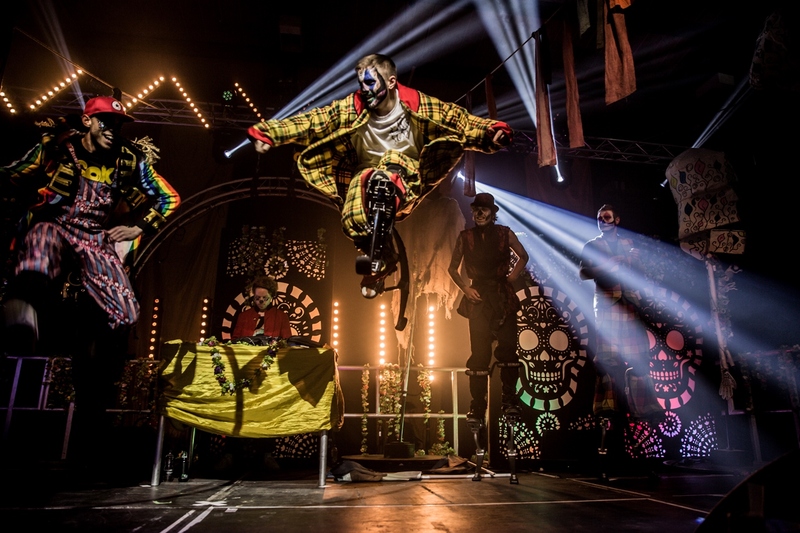 A real carnival atmosphere with giant skull processions and non-stop, jaw-dropping performances that wouldn’t look out of place in Cirque de Soleil – think acrobats, circus performers, contortionists, fire breathers and more. With Halloween the next big event in the calendar, this one should definitely be on the radar – the Manchester Evening News certainly thinks so… Read the full article here and check out the stunning gallery below.